France is famous for many things, but one thing that is unsurpassed is her wines. With our Paris Wine Tasting, you’ll get to experience the very best wines that France has to offer. Our expert sommelier will showcase 7 different regional wines over the course of your tasting, allowing our guests to experience the incredible diversity that encompasses the French wine landscape. During your Paris Wine Tasting, your committed sommelier will give you keen insight into how wine is made, and how the different regions of France each produce their own unique wine. Whether you are a fan of Bordeaux or Burgundy, you'll learn how the grapes of each region contributes to the unique flavor of its wine. Of course, you'll also be able to sample what cheese is best paired with each wine, and enjoy an assortment of freshly baked French bread as well. 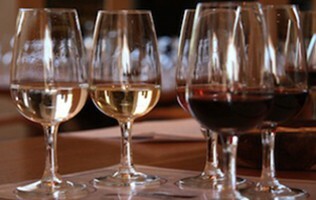 Your Paris Wine Tasting will captivate each of your senses, while allowing you insight into the pleasure of French wine. You'll gain useful tips on how to navigate a French wine label and learn the differences between "Old" and "New World" wines to truly be able to call yourself as a wine connoisseur. Savor 7 different wines, both red and white! How long does my Wine Tasting Tour last? Typically our Wine Tasting Tours last 2 hours. 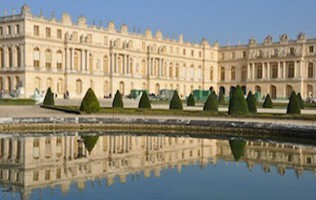 Of course, we can customize a Private Paris Tour if youâ€™d like a longer or more customized wine tasting excursion. How will I find my Wine Tasting Tour guide? Please see your confirmation email after booking for the exact starting point of your Wine Tasting Tour. Will my Wine Tasting Tour guide speak English?